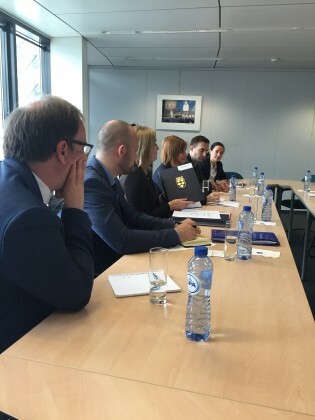 AER met on 19 May with Commissioner Corina Creţu in charge of regional policy. A delegation reflecting the diversity of AER members, led by President Dr. Hande Özsan Bozatli with the presence of Magnus Berntsson, AER Vice President, and AER Secretary General Mathieu Mori discussed the future of cohesion policy. Ms Crețu highlighted her priorities for the future of cohesion policy : flexibility, performance and delivery, simplification. AER President insisted on the following AER messages : cohesion policy must continue to cover all regions for the post 2020 period ; grants must continue to be a key funding instrument for all regions. Finally, at a time when Europe is so criticised, it is crucial that the policies which benefit in the most concrete and closest manner to the citizens be continued. AER is involved in the initative on the future of cohesion policy which gathers hundreds of European regions. On behalf of this group, Ms Ilse Penders-Stadlmann (Niederösterreich-AT) highlighted the importance of the political backing that cohesion policy must come from the regions. In order to strenghten Commissioner Crețu’s messages on the importance of the policy, AER members and all members of the initiative will gather hundreds of signatures from regional presidents on a joint political declaration to strengthen cohesion policy. These signatures will be presented to the Presidents of European institutions on the 28th of September at the occasion of a big rally of regions in Brussels. AER President will be present and we already invite our members to block their President’s agenda. The political declaration has now been finalised. AER will circulate it to its members to get the signature of their Presidents. Ms Sidony Venema (Flevoland-NL) presented the Commissioner with a report with recommendations on how to simplify the access to structural funds and the auditing process. 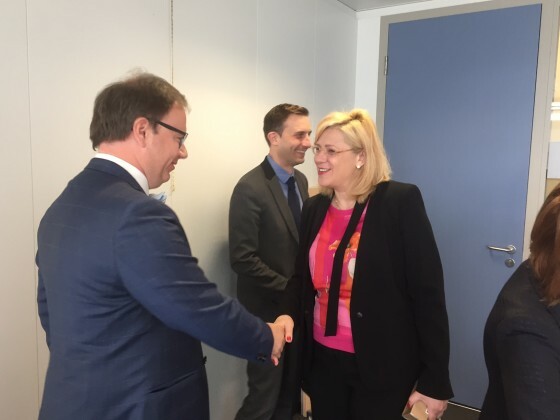 Commissioner Crețu assured us that proposals for more flexibility and simplifications will be made during the midterm review and the post 2020 discussions. Mr Mitar Vasiljevic (Vojvodina-RS), as a representative of a non-EU member, stressed the fact that his region like many others on the road to accession, are following these discussions very closely and are working hard in order to be ready to gain access to regional funds once they will become members. 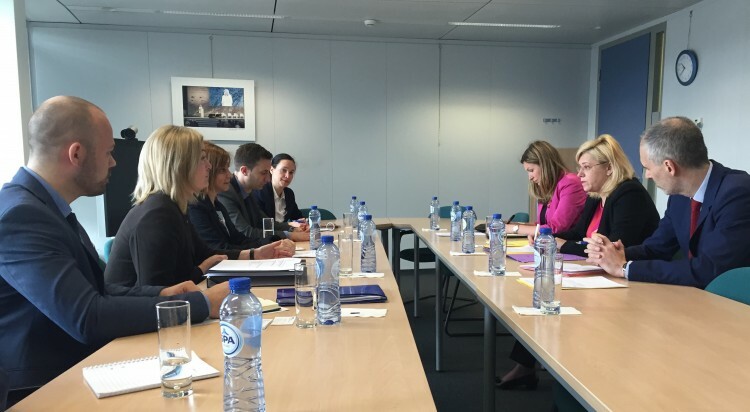 In short, AER backs Commissioner Cretu’s efforts to continue cohesion policy. This support is very much appreciated and needed. We therefore count on all AER members support. You can show your support by signing the political declaration on cohesion policy that we will send out to you in the very near future (or contact Alexandre Brecx for more information).